A great way to add a custom mirror at an affordable price! Pro-One's Mirror Package includes 2 Chrome die-cast Mirrors, Chrome Billet Mounting Bases and all necessary Mounting hardware. Fits 1999-06 Suzuki GSXR 600/750/1000 & 1999-2011 Hayabusa 1300R. 2 Different stem lengths included. 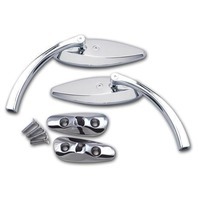 Pro-Mini Mirror Head measures 5-1/2" x 1-1/2". Long stem measures 5" in length and 4" in height. Short stem measures 3-3/4" in length and 3" in height. 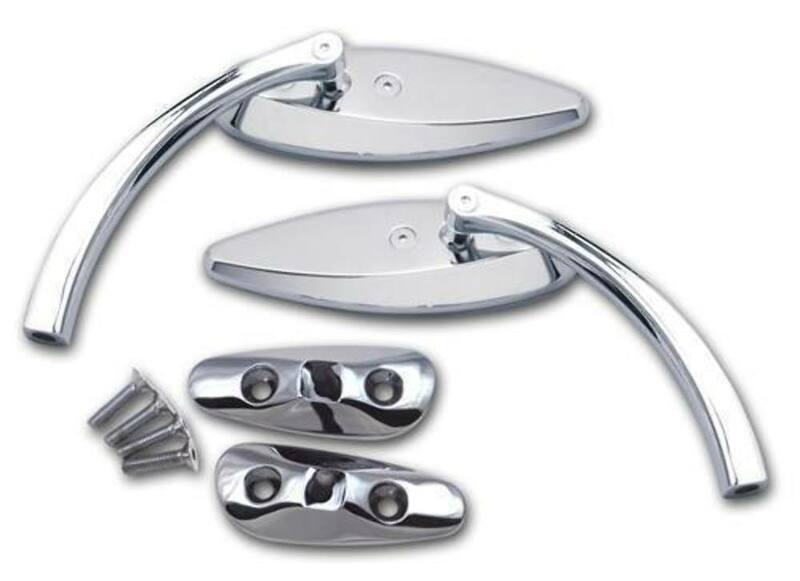 Strong, Die Cast Construction, Triple Chrome plated, fits 1999-06 Suzuki GSXR 600/750/1000 & 1999-2011 Hayabusa 1300R. Simple to install. Includes Mirror Mounting Bases and all necessary hardware.